Today the world is falling into chaos of complication. Nobody can deny that technology becomes more powerful by connecting everyone to everywhere and enabling people to do what they have never achieved before. But come along hard choices and complex application interfaces, technology may not make our life easier. When application can do more things, there comes more buttons to press and people of the world need helps. 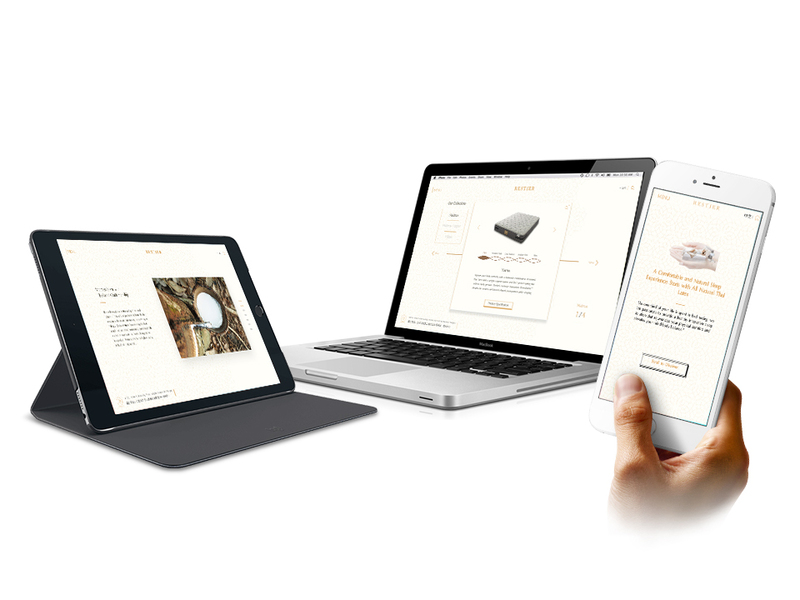 Forviz is an interactive/user-experience design agency based in Bangkok, Thailand. We believe in the potential of information technology and ready to help your organisation make good use of them. We are a bunch of crazy (in a good way!) people who swore to make technology more friendly to people. We honour user experience as well as the art of the code. Our goal is to use our expertise for design and application development to solve people’s problems and thus making their lives simpler and ultimately happier. While we are not bound for process or framework, we are seriously developing application actively using cutting-edge technology. Design for Beautification, Communication, and Usability. With our expertise plus an experienced team, we will surely facilitate your way to develop and create exceptional digital media. Whether it is a website, a 48-inch touch screen kiosk, a digital directory for shopping malls, an iPad/mobile application, or an interactive presentation, we will help you find the right solution which could precisely fulfill your needs and fit your objectives. Great ideas don’t always come from the top suited guy in a boardroom, but can come from anywhere by anyone. All we have to do is ‘listen’ and make sure we don’t kill the ideas off too soon. At Forviz, we encourage our team to propose ideas and stand up for them. If it is a good idea, it is a good idea. How to be successful? Put your nose down on something and get damn good at it! While it is true that efficiency comes with order and authority, creativity and innovation don’t work that way. In fact, relinquishing control and giving more autonomies to employees really boost their creativity that will lead to great innovations. Our hierarchy is not about management, but it’s more about the level of leadership. We accept the fact that the ultimate fate of poor innovative organisation is no different in business than it is in nature: extinction. We know that we won’t survive tomorrow just by relying on yesterday’s success. We always look out for new and different ideas and knowledges. Design for Beauty, Communication and Usability. A great design is not only beautiful, it communicates. A great design does not only communicate, it is also easy to use. And we know that a great design is not only easy to use since a great visual gives much better and more powerful impact than a plain one. How to make designers understand what customers want? Make them a customer! Sometimes we tell them to work out-of-office, walk around shopping malls pretending to be someone else, brainstorm in McDonald etc. Why? So that they come up with fresh ideas after putting themselves in customers’ shoes. Not sure if the ideas are good enough? Try them out then! Why sitting in a room guessing how customers would think when you can just try and see what happens. If it’s good, itʼs good. If itʼs not, then try again. 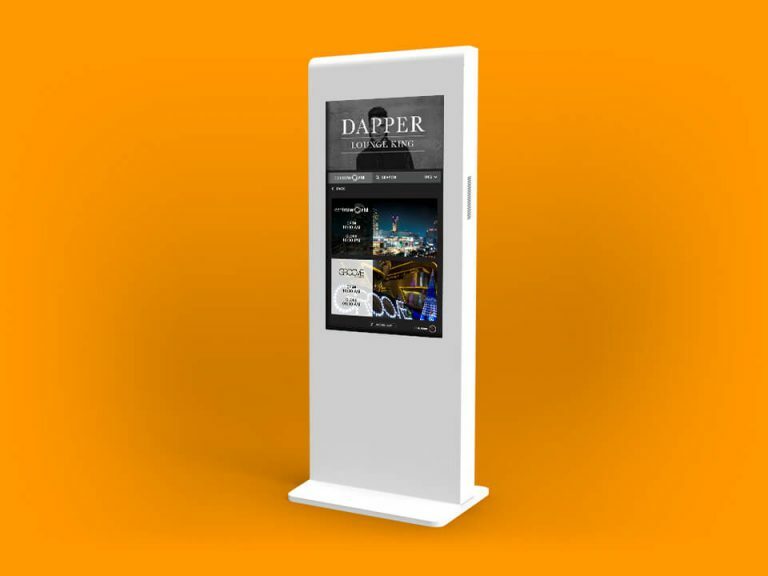 The Emquartier and The Emporium, two luxury shopping centers located at the heart of Bangkok, hold over 60 touch screens directories equipped with a software specifically designed for easy store locating. 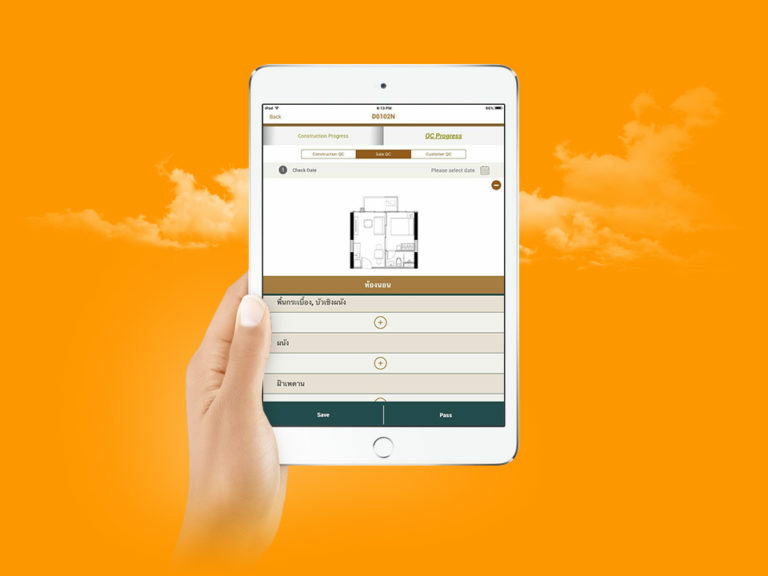 This allows users to switch between the two while locating stores, acquiring accurate directions, as well as looking at special offers. Programmer : Pinpisut S., Nat R., Mondit T., Pornthip K.
Content : Arisra R., Phacharawadee T.
Operation : Thananon A., Sopon, Chulabhong Y. Project manager : Chulabhong Y. 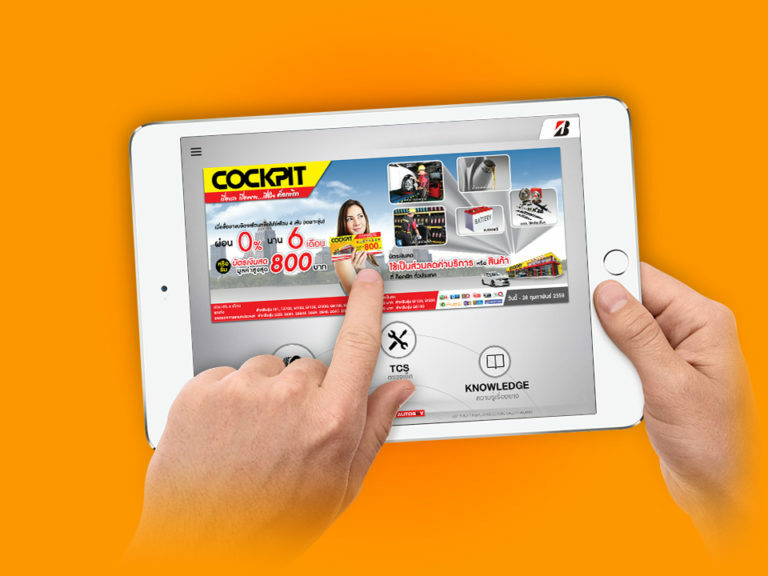 Account Executive : Kronrawan P.
The intelligence system called iAdvisor was developed for sales and purchase at Cockpit and AutoBoy chain stores over 270 branches nationwide. It can perform various tasks like capabilities to record inspection, maintenance data and select the most suitable tires for all car models, providing all customers with satisfying products and service in the future. It can also give them information and other useful facts about tires that will definitely help strengthen brand loyalty. 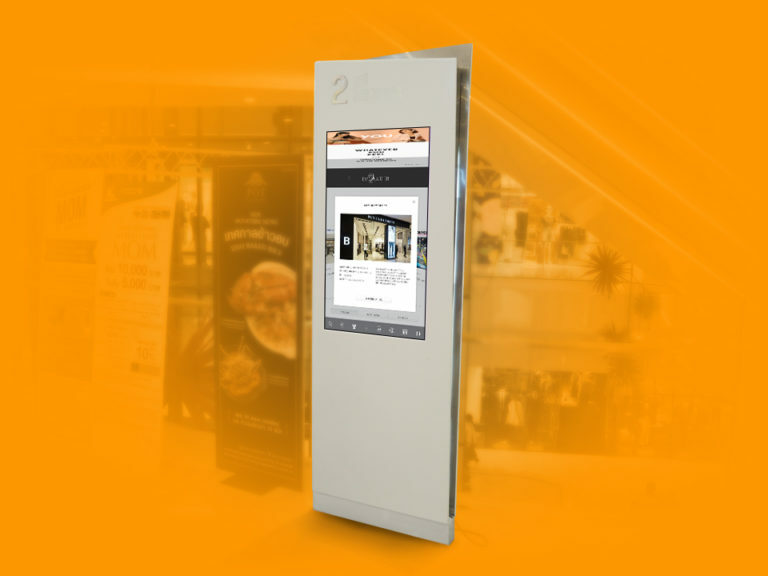 Programmer : Prach M., Kassana C., Mondit T.
We have successfully provided interactive directories for Terminal 21 – the shopping center with the highest numbers of visitors among those in Asoke – and also for the newest branch in Korat. The interior design was inspired by airports along with several prominent landmarks from all corners of the world. This reflects in exceptional floor plans with distinctive style that correspond to each zone, emphasizing the center’s unique values of being appealing, playful, and approachable at the same time. Content : Arisara R., Phacharawadee T.
Operation : Chulabhong Y., Sopon M., Thananon A. 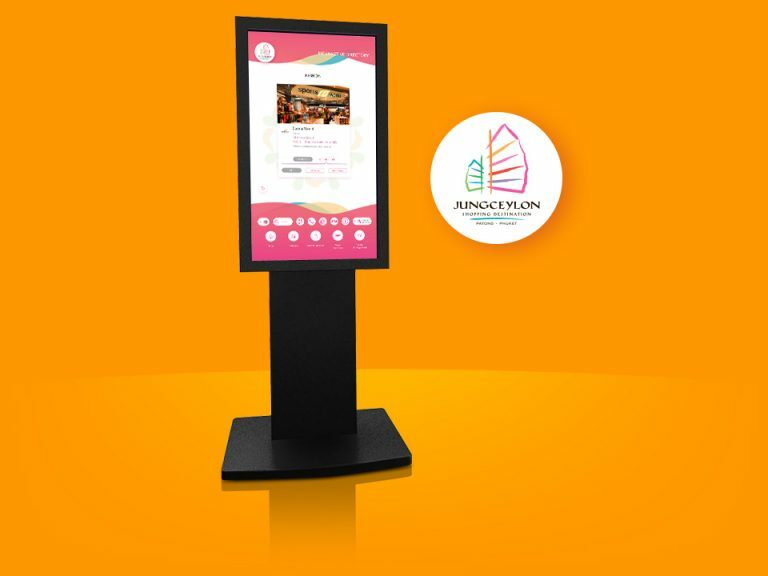 Project Manager : Chulabhong Y. , Arisara R.
Touchscreens directory located in MBK Center are the very first directory in Thailand that users can ask for directions and other information via a video call. The staff can remotely control the particular screen users are using to demonstrate while explaining the direction. This is no doubt one of the most innovative technology that fits perfectly with users’ expectations – no wonder it has the longest queue ever! Programmer : Kassana C. , Prach M. , Veerakorn P.
Operation : Chulabhong Y., Sopon M.
Account Executive : Pilaiorn D.
Touchscreens located right in front of departure gates in Don Mueang International Airport include different useful functions like a travel guide, a list of recommended restaurants for each province, information about currency exchange, a weather forecast, and an up-to-date calendar that displays all the interesting festivals in all provinces across Thailand. 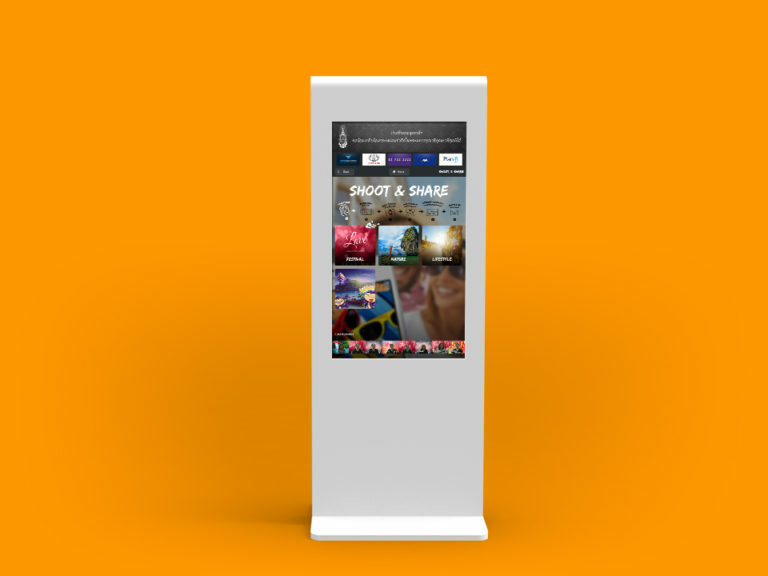 There’s also the ‘Shoot & Share’ activity which is very popular among foreign and local travellers. It invites everyone to take photos of themselves, decorate it, and share the final piece via Social Media, in which they also get a chance to win prizes. Programmer : Pinpisut S. , Worakon O. , Nat R.
Operation : Chulabhong Y., Thananon A. Project manager : Siraphat J. Account Executive : Pilaiporn D.
Jungceylon is one of the biggest shopping centers in Phuket and also one of top shopping places with most visitors in Thailand. 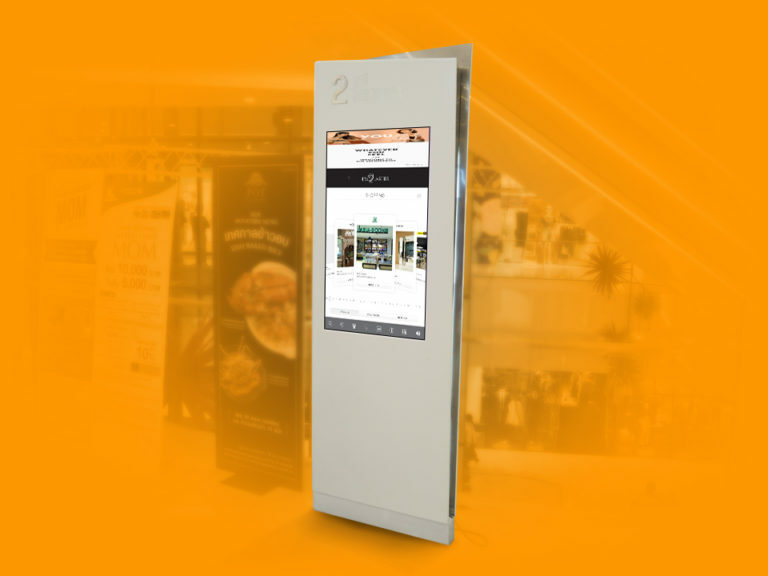 We get a chance to develop both their Directories and Digital Signages for them, all of which equipped with a special feature that users can search for shops using Chinese language (currently one and only Directory with this special feature in Thailand). 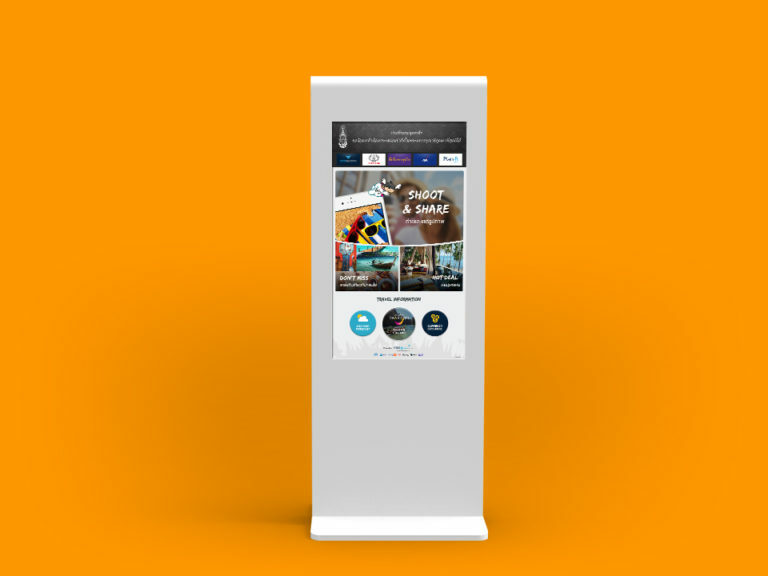 The system also supports many other languages that will surely benefit many foreign visitors. Programmer : Worakon O. , Veerakorn P.
Project Manager : Arisara R.
Amway is known for its successful direct sales business with over 100 branches around the world. 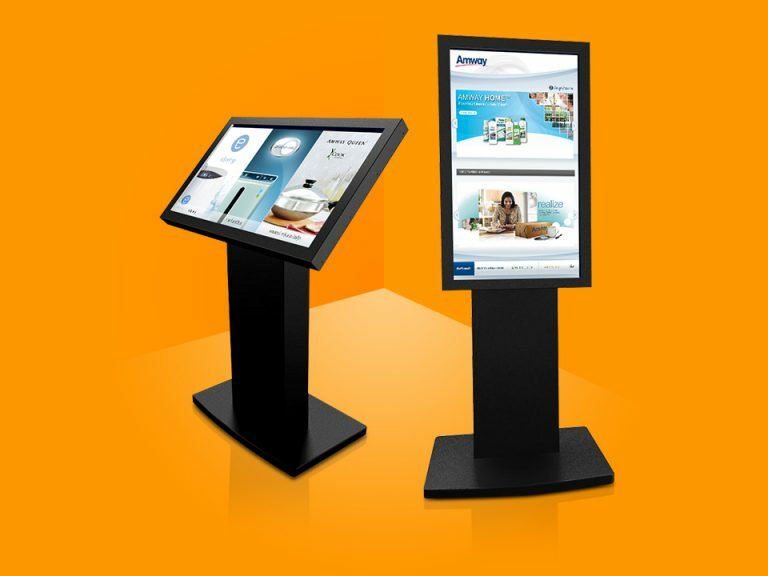 Today, with 4-8 touchscreens installed at each headquarter, both members and others who are interested in buying are provided with latest product information. Our software can display all products in a well-organized manner, accompanied by latest news and announcements. More screens are now being added to sub branches throughout the country. Programmer : Worakon O., Nat R.
Central World can be considered as the largest shopping center in Thailand in terms of space. 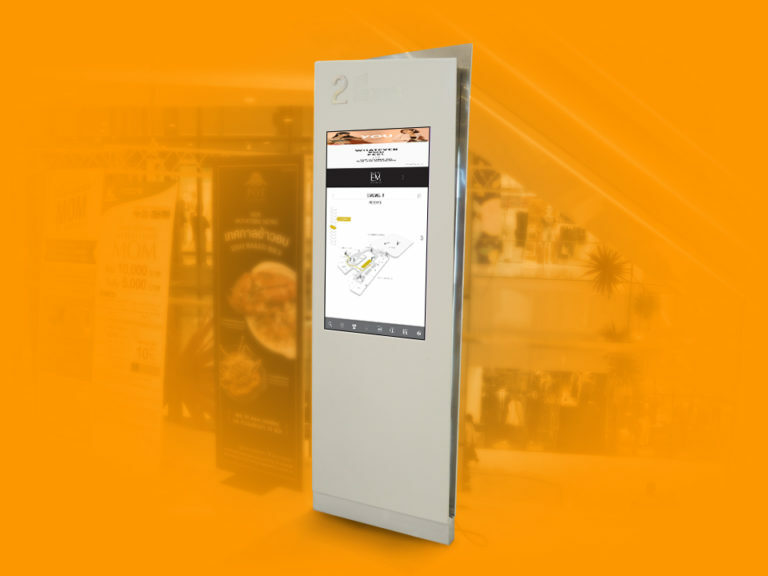 With the help of our touch screen directories, both Thai and foreign visitors can enjoy the most exciting and convenient shopping experience. This exclusive software is also accessible for people with disabilities, reflecting the owner’s great consideration. 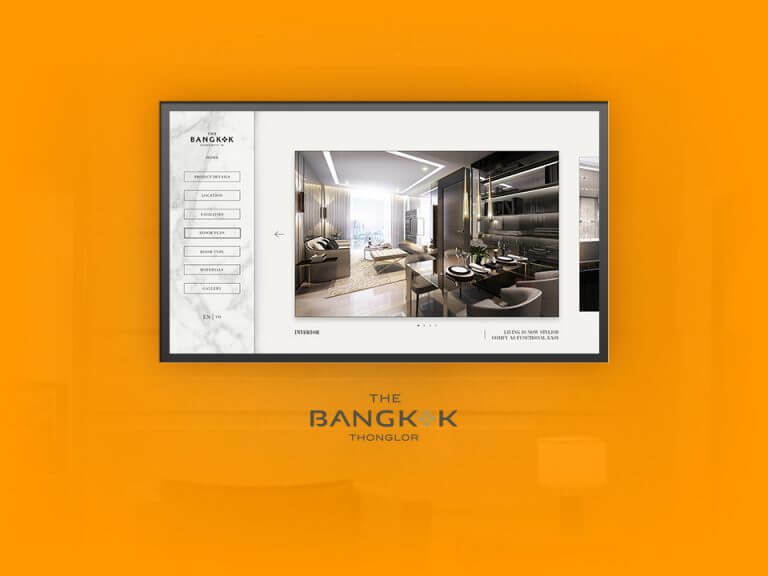 Programmer : Worakon O., Prach M.
Located at Bangkok’s downtown just steps away from Lumpini Park, the most expensive high-rise condominium by SC Asset employs a sales software with a touchscreen for the Sales Office, equipped with an iPad and a Video Wall screen. The software can also turn the iPad into a remote control for the touchscreen and the Video Wall. With this innovative method of presentation, a little more sense of modernity will be added into the project. Programmer : Kassana C., Worakon O.
TELA is one of the most expensive and luxury condominiums presented by Gaysorn Property. 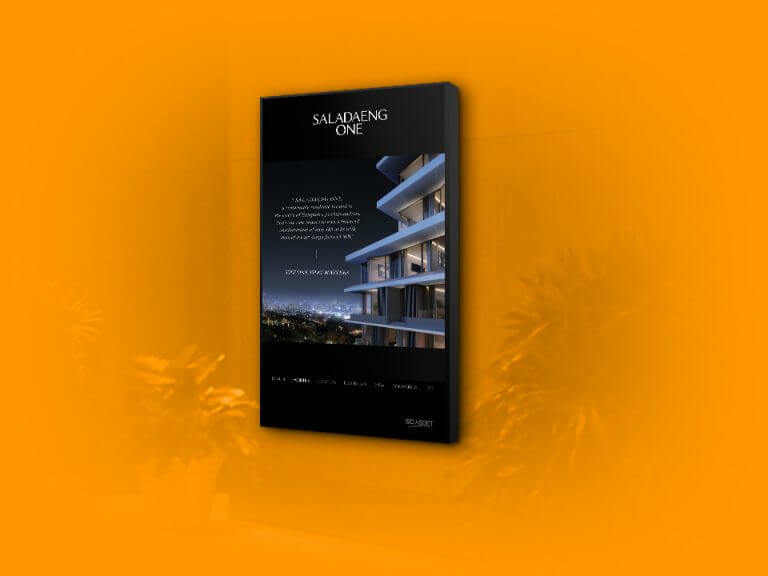 Located at the heart of Thonglor Area, this residential building is considered as a very high-priced lodging, and thus is essential to have an innovative presentation tool with great UX design as a helping hand for a successful closing sales. It will also make the project’s image more valuable and modern. 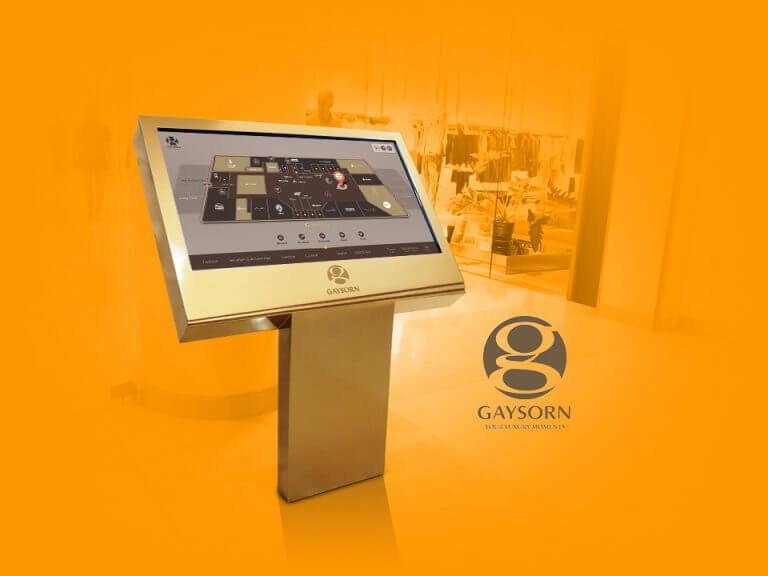 Located in Thailand’s most extravagant shopping center, the Gaysorn Directory was designed to be consonant with the center’s theme and ambience. It displays store information by well-defined categories, which makes it very easy to locate them. 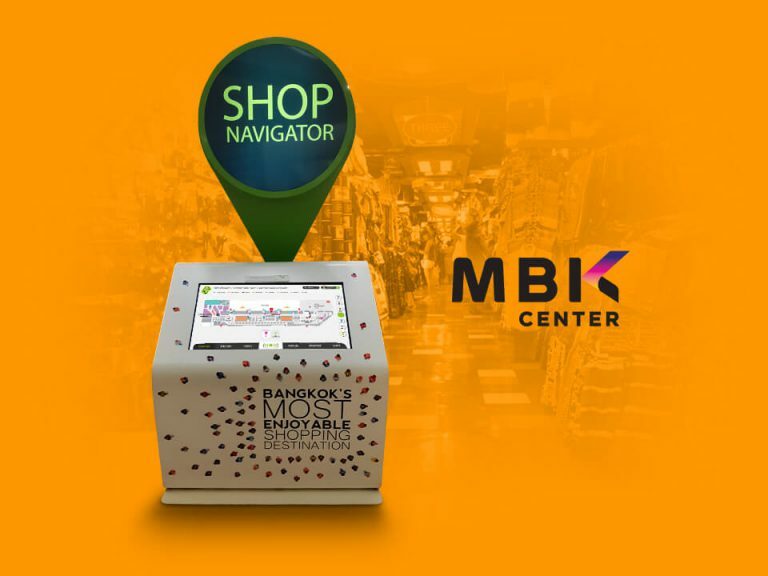 In addition, it can provide the quickest route to reach the stores and allow users to promptly view the previous direction again, thus enhance customers’ shopping experience. 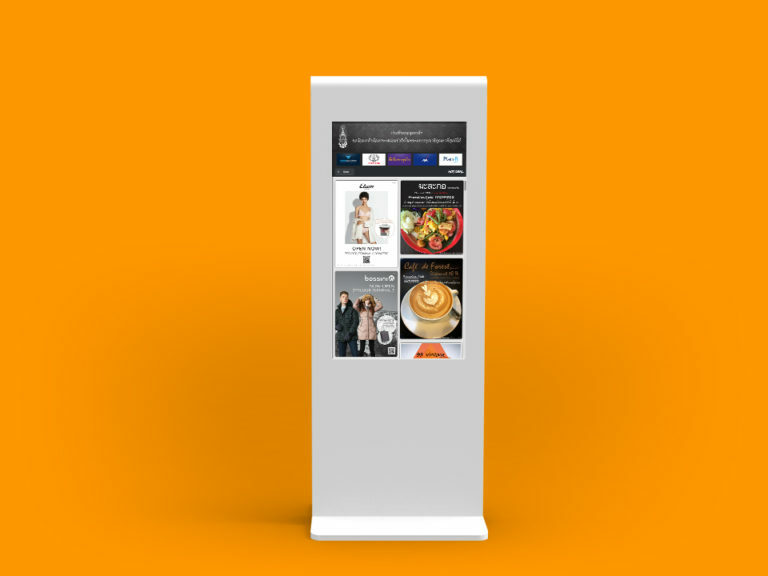 The directory is currently supporting 3 languages: English, Chinese and Japanese to welcome foreign shoppers. 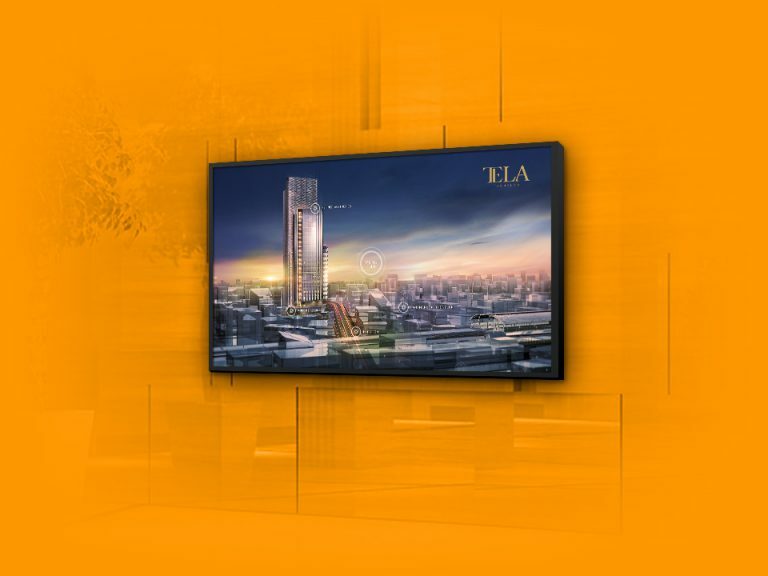 With a fetching yet simple design, the presentation touch screen for Land & Houses’ ultimate luxury condominium has managed to emphasize the strong points of the property. A special menu has been added to describe exclusive features that can only be experienced at The Bangkok by Land & Houses. The system was designed to be an elegant display of interactive animation rather than just a spectacular sight. 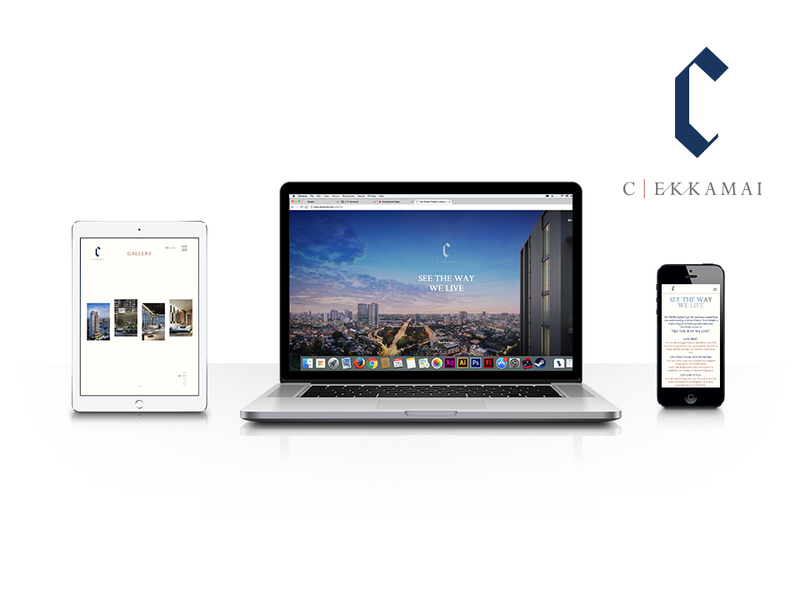 Programmer : Kassana C., Taveesak C.
Real estate developer Chan Issara Development Co., Ltd. has launched an application for construction industry called Construction App. It is the company’s original and innovative prototype that has a defect detector for under-construction units and a progress tracking function as its main features. 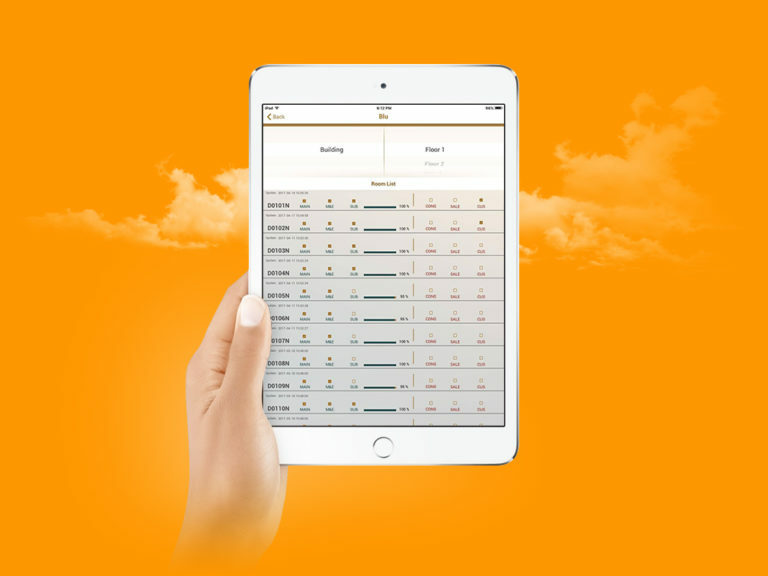 With everything under control in just one single iPad, it will be much easier for the construction crew to complete their work. 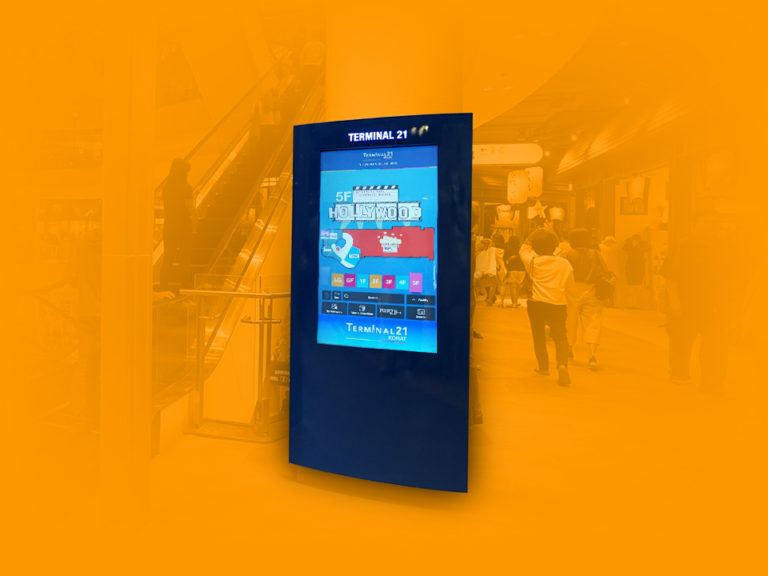 Programmer : Kassana C. , Prach M.
Future Park and Zpell are two large shopping centers located in the Rangsit area, equipped with our touch screens all around. 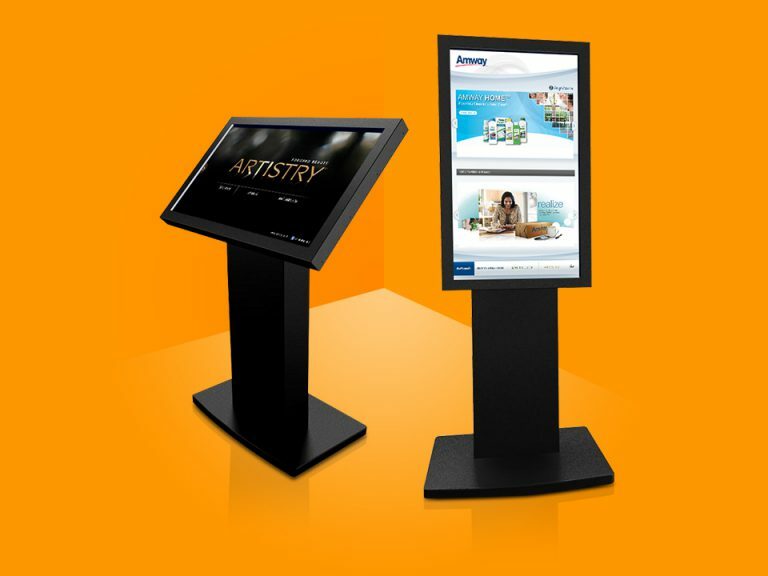 Our software allows users to look at stores and special promotions offered by both centers. With a great UX design, this has become a more convenient and effortless way for shoppers to acquire useful information. 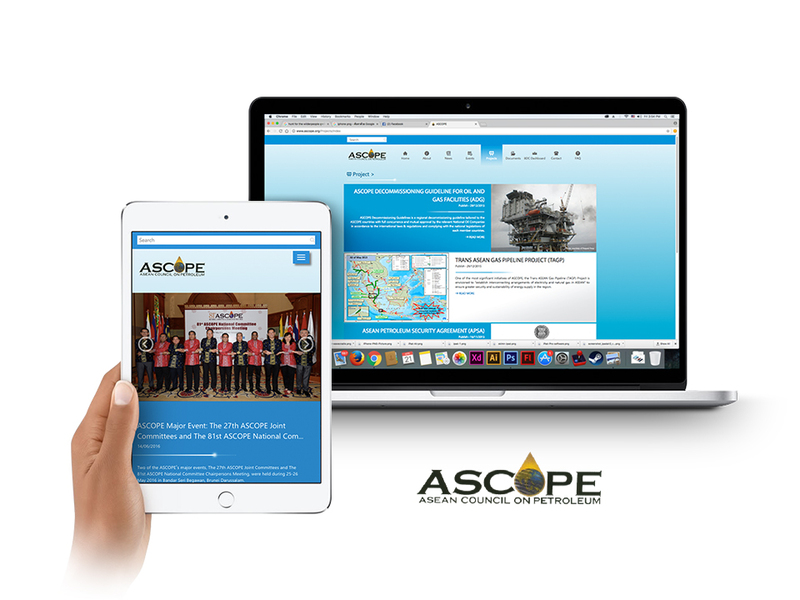 Programmer : Pinpisut S., Nat R.
PTT Ascope web is a website developed as the central platform for all Petroleum company members in the ASEAN region as PTT Public Company Limited of Thailand had recently received the great opportunity to provide this sharing platform. The website allows all the members of ASEAN Council Oil Petroleum to conveniently share related documents and news, analyze collected data and inspect projects run by other country members. Programmer : Worakon O., Pramote B.
C-Ekkamai, a luxury high-rise condominium with 44 floors, gives you a very beautiful view at night among others located around Ekkamai-Thonglor area. 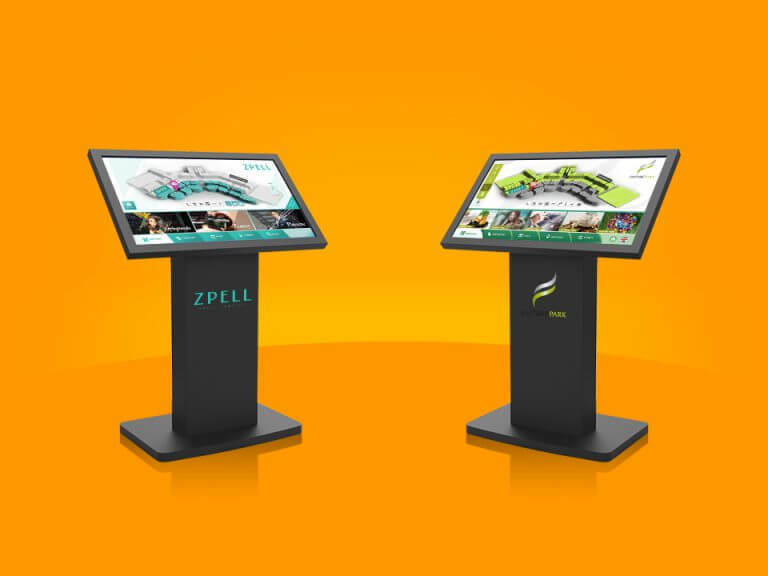 We are honored to receive a great opportunity to develop the whole sets of their communication including their website, touchscreen, and an iPad application. The design of these 3 masterpieces reflect the architectural beauty of the condominium as well as impressing users with its uniqueness and selling points. Affiliated with Siam Gems Group Co., Ltd., Thailand’s one-stop tourism service provider, Restier is a website selling mattresses and pillows made from rubber, making them the most expensive (cost up to $10,000) among the counterparts in Thailand’s market. However, this website is only available across China as the products mentioned earlier are exported and sold solely in that particular country. 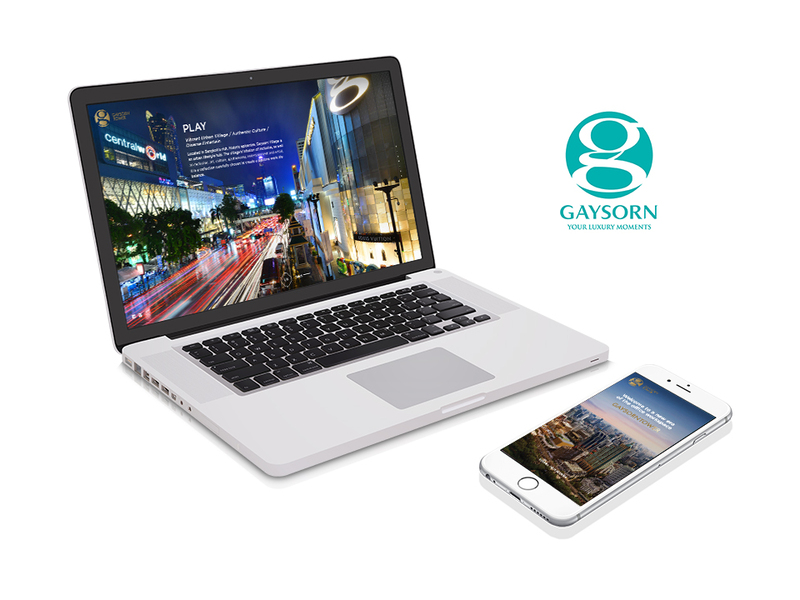 Gaysorn Tower is the most luxury office building located in the middle of Bangkok City, specially designed to target next-generation innovative companies. As the location is located in the middle of the city around Ratchaprasong District, this tower is surrounded by the luxury hotel and many shopping centers. So the website is designed to be approach that design and development should respond to the user’s behavior and environment base on all screen types. 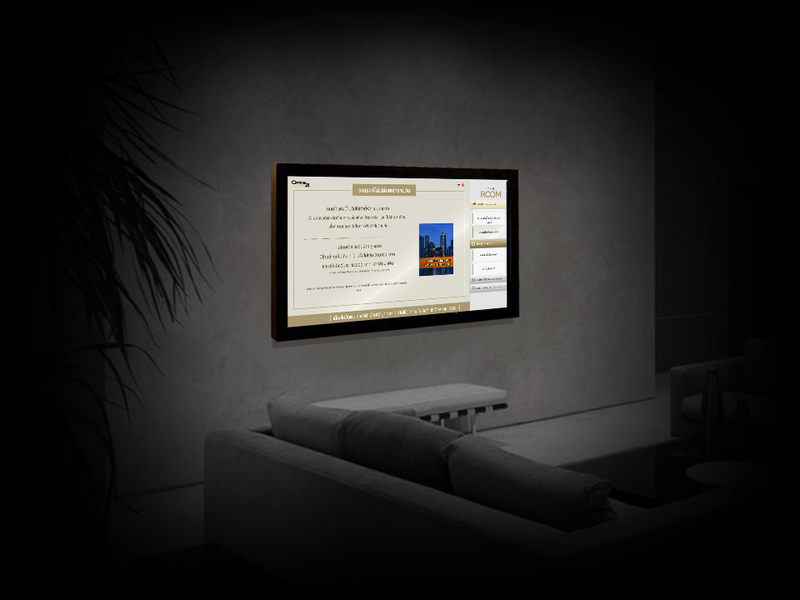 Also there is easy to use and provided the minimal luxury interface. 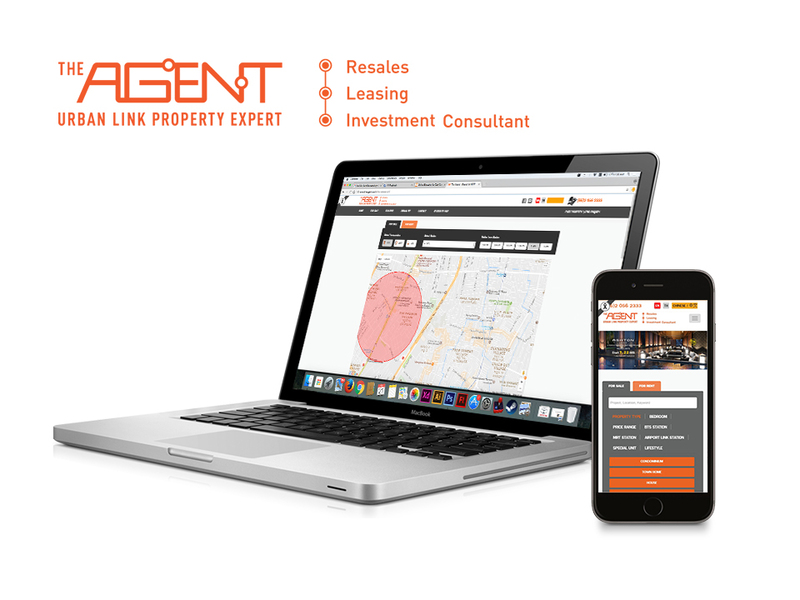 Programmer : Prach M., Veerakorn P.
The Agent, a Thailand’s top listing website for condominium sales and rentals by Ananda, features a special search engine, which is guaranteed to be the best among the equals. The system is very large and able to provide inclusive results just as the buyers and sellers require. 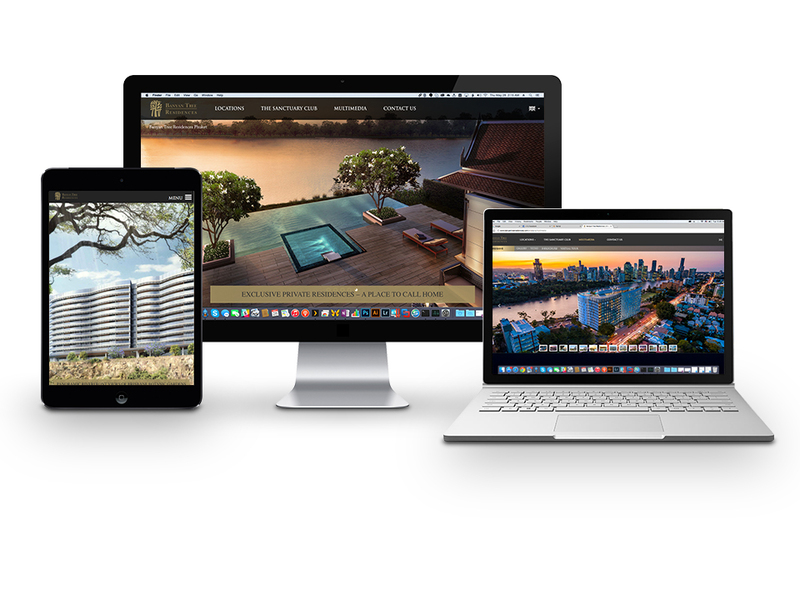 Banyan Tree Residences website owns by Banyan Tree with outstanding animated design that creates excitement and buzz. In the Residences section, users can choose to view several locations, including China, Australia, Sri Lanka, etc. 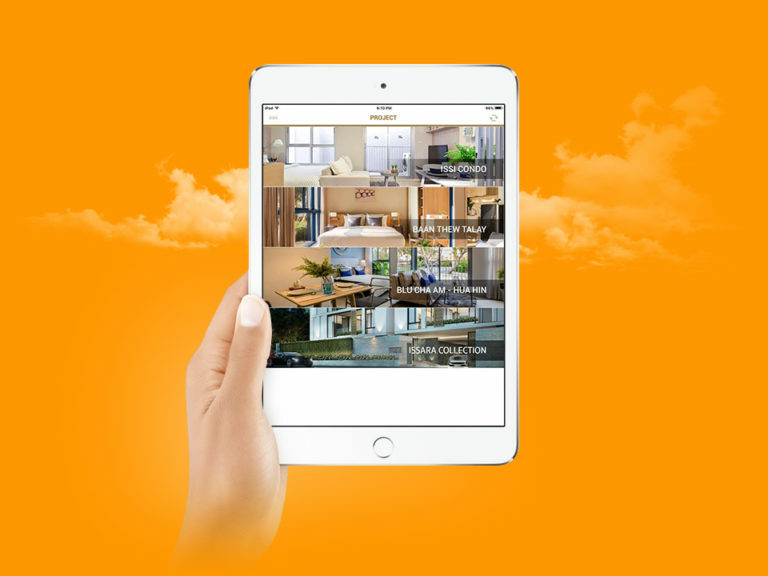 The website is also available in 4 languages, with each location showing booking status of the residence in each unit, as well as providing the users with latest news and activities. Programmer : Worakon O., Pramote B., Prach M.
Ramai is a website for skincare products made from genuine Thai herbs. The products offer signature scents that express the beauty of modern Thai women as well as giving your skin a gentle care and nourishment. 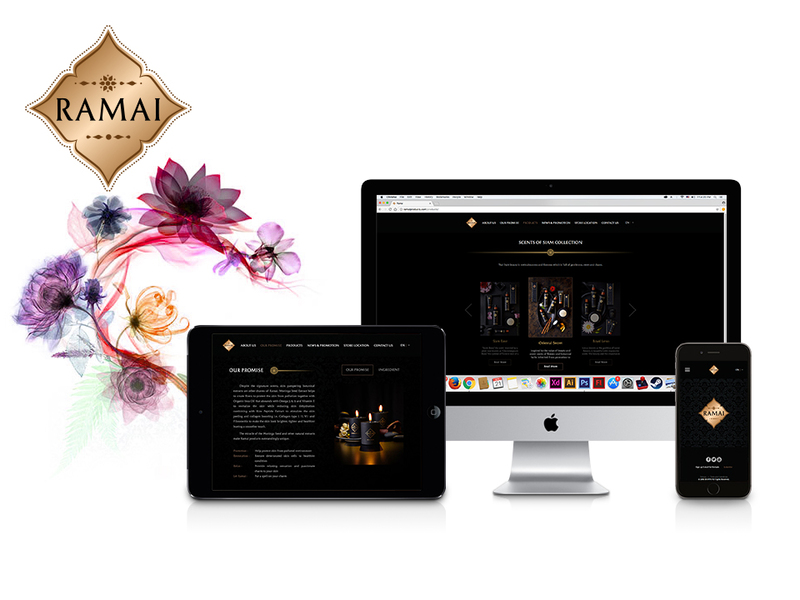 The website is therefore specially designed to clearly show Thainess along with Ramai’s look and feel. 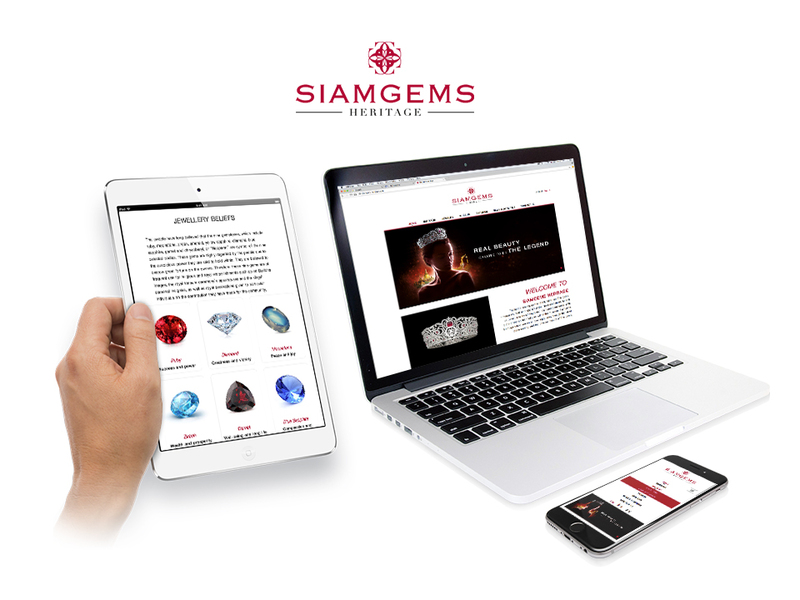 The brand operates under Siam Gems Group Co., Ltd.
Siam Gems Heritage, the most luxurious website affiliated with Siam Gems Group, presents information about their museum as well as other details of costly jewelry, diamonds, and gemstones, which are the most luxury products of Siam Gems Group. The website can also display many languages to mainly support foreign customers, especially Chinese people. The luxury shopping center at the heart of Bangkok has more than 100 digital signage screens located at kiosks, advertisement page in the directory kiosk, Video Wall system, as well as signage in the elevators. The content appeared on each particular screen can be organized in the most flexible and convenient manner that corresponds to the administrator’s advertisement system management. 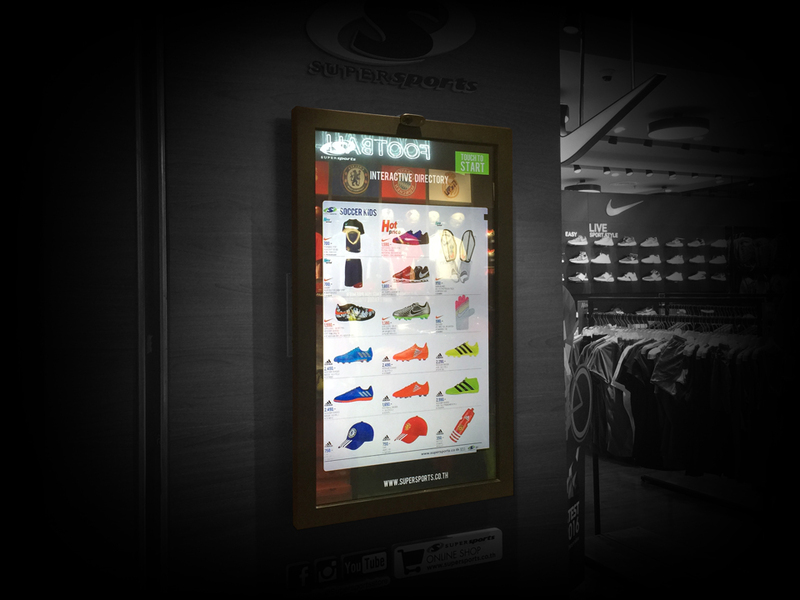 This sports store with branches nationwide usually installs signage screens that enable the branch to display advertisements, promotions, as well as its touch screen map which marks the location of each brand on the floor plan and its latest promotions. Since agility and excitement are one of the underlying characteristics of sport stores, the plan was designed to be perpetually in motion and unique. 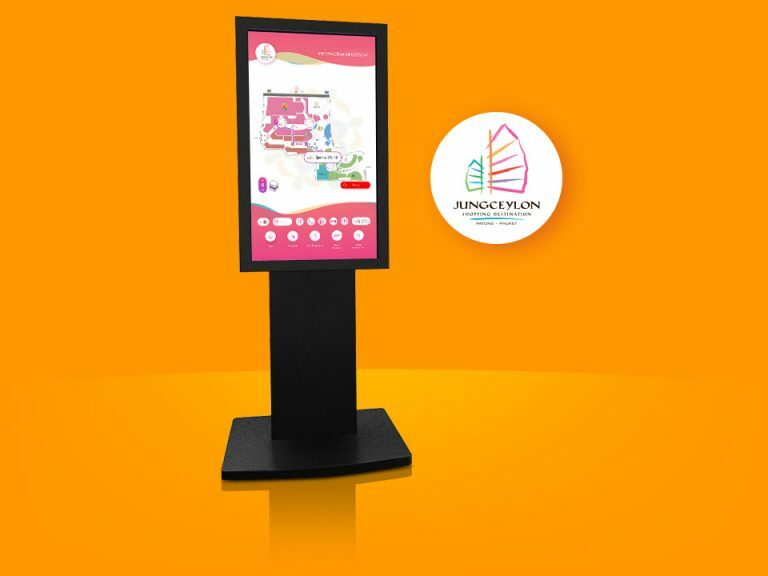 Smart Info Board is a touch screen system designed for legal person usage at all condominiums affiliated with Land and Houses. 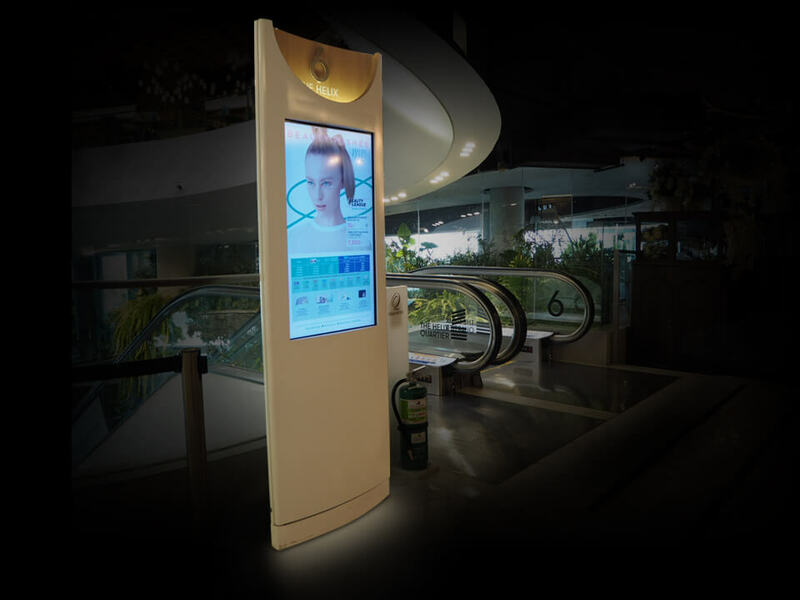 Currently, the touchscreens are installed at 8 branches of all Land and Houses’ condo brands including The Key, The Room, and other luxury brands like 333 River side and The Bangkok. All of these operate as announcement boards for news and other essential information residents need to know so nobody miss out on anything from their legal persons. The largest shopping center in the western part of Bangkok secures several digital signage screens in the Central Department Store, which is a compartment inside Central West Gate. 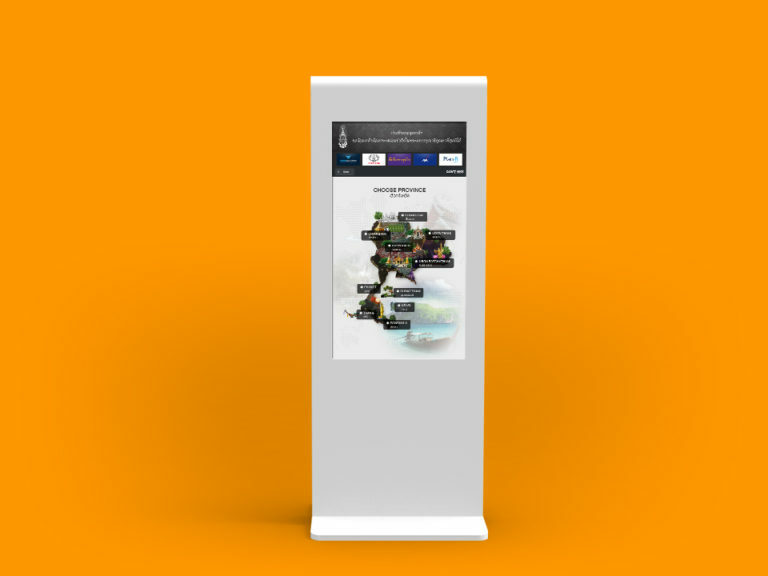 The total of 30 screens enables the store to promote its advertisement which has been classified by zone. The publication on each screen can be managed according to the zone in each department. 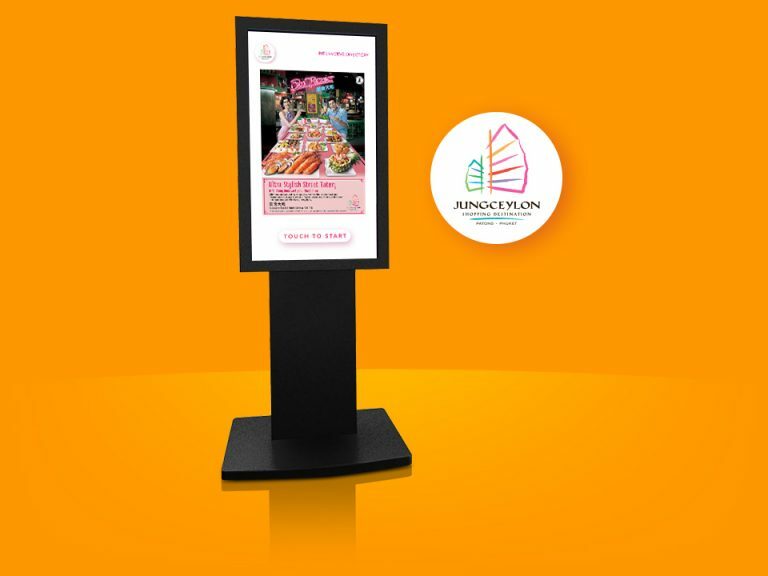 Digital Signage Specialist : Chulabhong Y.